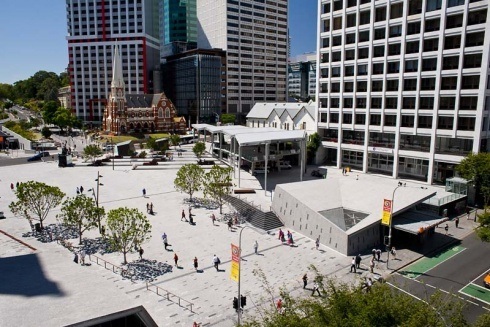 In mid 2008, Kane was awarded the King George Square Redevelopment project by the Brisbane City Council. 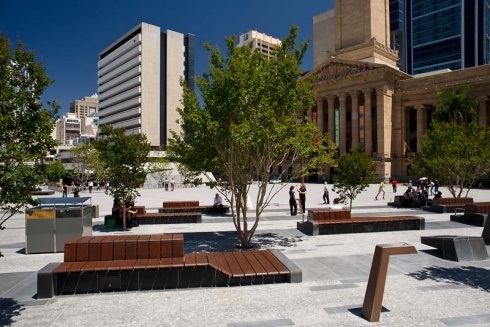 A site with a significant history in the heart of Brisbane’s CBD, the project was the subject of a design competition won by Urbis. The winning design consisted of a new amphitheatre, recycled water feature, green wall, observation deck and restaurant shell. Traffic management was a major issue, with the works extending to the Adelaide Street and Ann Street kerbs, the Grant Thornton Building and, of course, City Hall. 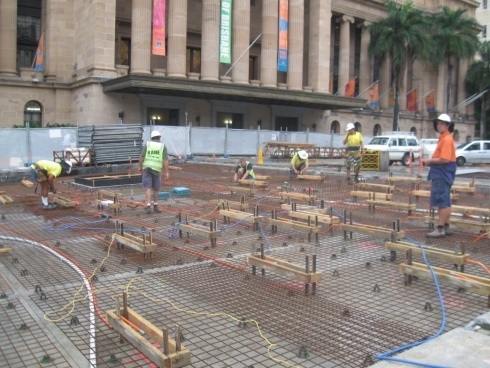 Despite this, safe passage for the public across the square at all times resulted in 1km of hoarding being repositioned several times throughout the project. Getting materials on and off the site, removing the existing square and exposing the roof of the five level carpark beneath was an engineering challenge. 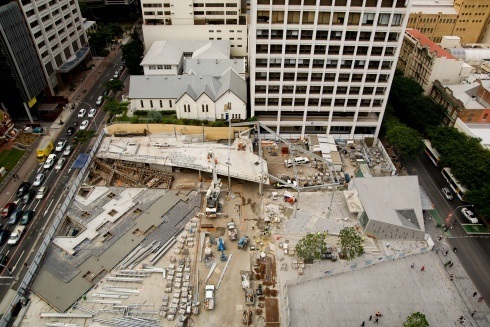 All construction machinery and work was required to comply with the allowable loadings on the carpark roof slab. 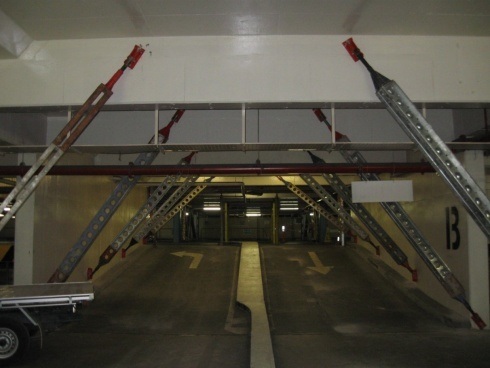 One significant challenge was the erection of the large steel framed terrace canopy - this required temporary propping to be installed through the carpark after-hours. The 100 tonne mobile crane was driven into position at night and the crane and its outriggers positioned above existing carpark columns. The temporary propping was then removed so the carpark could be open for normal trade the next day. The paving layout and amphitheatre design was highly complex with its geometry, and incorporating a 5m level change across the 80m x 80m square. An active amphitheatre terraced in shards to deal with the level constraints presented a big challenge for paving and installation of the tree pits. Set-out of steps in the amphitheatre slab were detailed to several decimal places, and any error had the potential to be exaggerated over a large distance. Kane employed a full time licensed surveyor who digitally mapped the entire site, providing an accurate set down to the nearest millimetre and fraction of degrees. A 30m long urban-art water feature running over custom built precast concrete panels presented a soft edge to the canopy and amphitheatre. 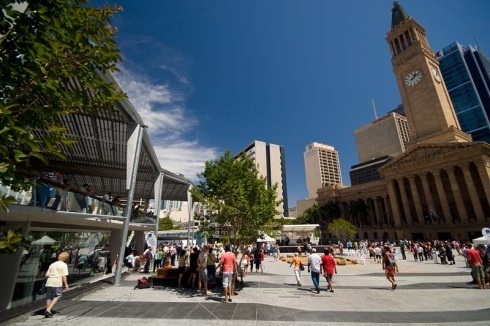 Constructed during a drought in Brisbane, it used harvested rainwater from diaphragm tanks under the amphitheatre that captured runoff water from the canopy. 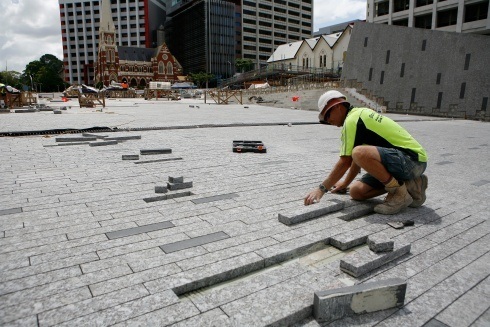 Following the completion of the structure, services such as the 100 LED lights, stainless steel pits and grates, had to be installed flush with the vast areas of granite paving with all joints aligned. Overall the square is like a big stage set, with power outlets and other infrastructure available for events. 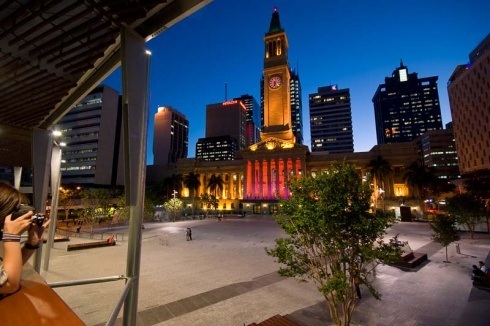 Kane were honoured to work on such an iconic project for Brisbane and were received a Masters Builders Queensland Award in 2010, in the category Sporting & Community Service Facilities $15m-$50m. 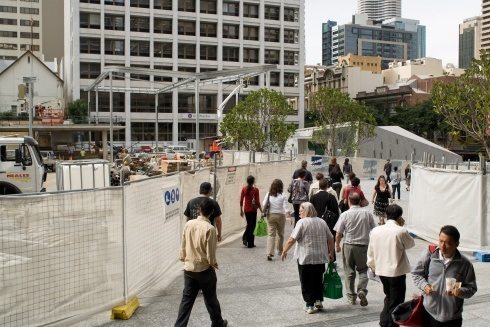 To this day, Kane are proud to watch the many and varied community interactions that take place within King George Square.